Humidity is an essential health variable that most people tend to ignore. This refers to the amount of water vapor in the air, which negatively affects the indoor air quality. When humidity is higher than expected, it can encourage the growth of mold, fungus and dust mites. Higher levels can also compromise indoor environment, making it particularly dangerous for those with allergies and asthma. The most noticeable effects of high relative humidity are stale air, feeling hotter than it actually is, and frizzy hair. This is mainly because more humidity in the air means that sweat does not evaporate as quickly as it normally does. This also means that your body’s natural cooling mechanism begins to break down. High humidity has more serious repercussions on health. It can release mold spores into the air you breathe, irritating your eyes, nose, and throat, and resulting in other respiratory problems. This can be particularly dangerous if you already suffer from a respiratory condition. Kids and the elderly are more vulnerable to mold-related problems. The best way to avoid humidity problems is to keep it between 35 and 40 percent. 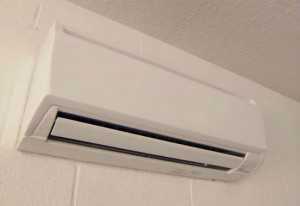 Air conditioning systems can keep the humidity within reasonable levels. They do this by taking out moisture from the air and cooling the environment. Some cooling units also have a ‘dry mode’ that reduces humidity levels in a room without blowing out cold air. This mode is especially helpful during colder months when the moisture level is high. Units with this feature can keep the room cool and dry, and acts as a dehumidifier by removing moisture from indoor air. Humidity can cause problems in new homes that trap moisture inside. Ventilation helps in the situation, so it is important to make sure to open airtight windows regularly. Proper ventilation can also remove airborne contaminants, which can contribute to health hazards. Make it a point to regulate the amount of humidity in your home. Use the right appliances or consult heating and cooling experts to address humidity concerns. Be the first to comment on "Water Vapor in the Air: Humidity and Your Health"
Is Your Home a Thief Magnet?